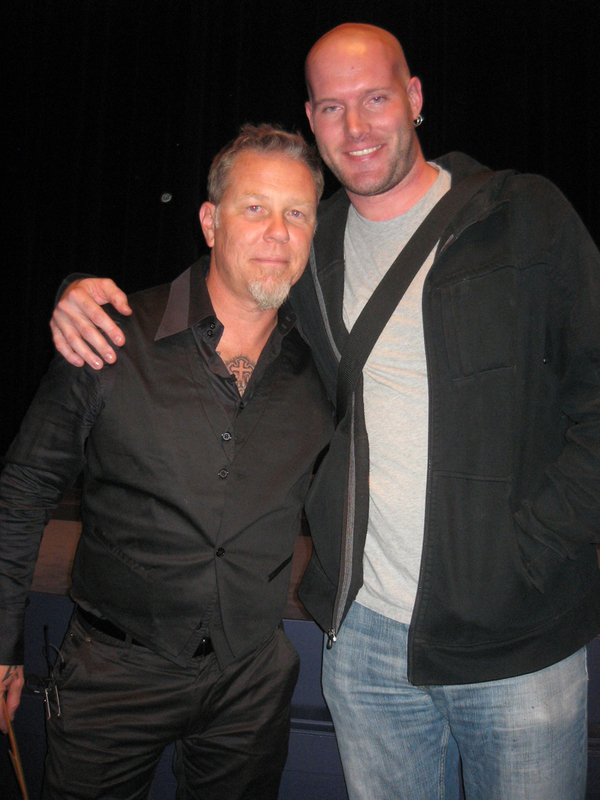 I’ve always been a huge fan of James Hetfield and the rest of Metallica. The first time I heard them in grade school was like an awakening and I never turned back after that. 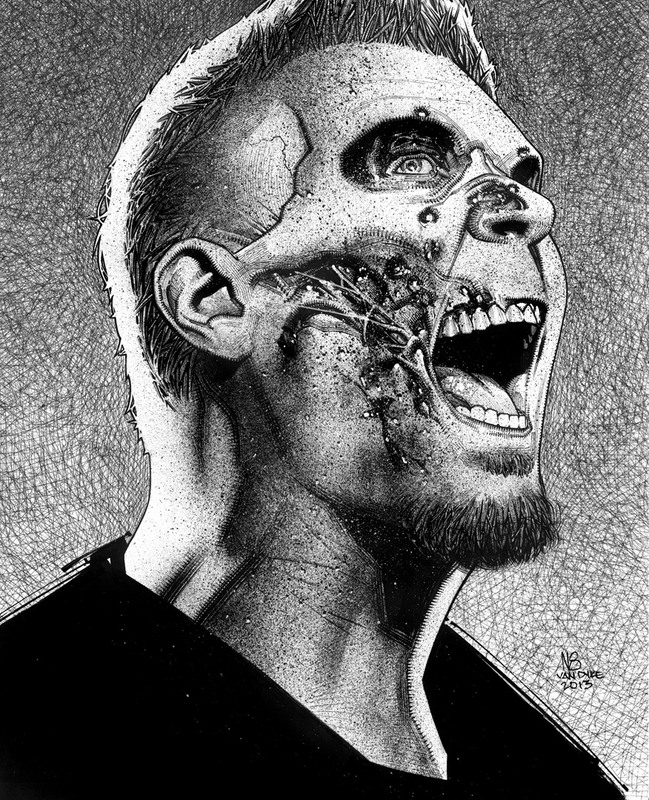 Countless drawings of mine have been brought to life as Metallica played on in the background. I truly don’t think my art would be what it is without them. That being said I decided to “kill” one of my idols. 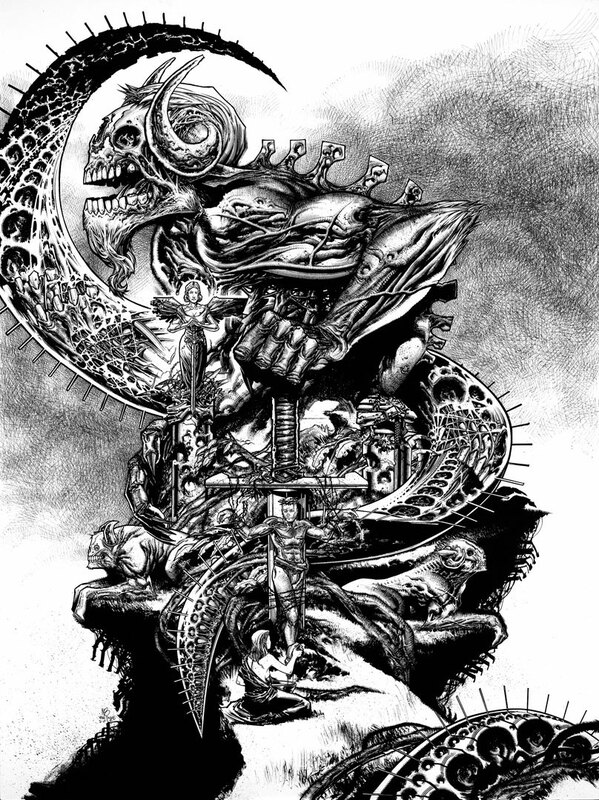 This piece is titled “James Deadfield” and is 11″x14″ ink on Bristol board. I’m coming down after a really fun weekend. I was asked back for my second year in a row to be a live painter at the festival. I had a great time last year and was certain to repeat that. I got teamed up with my bud and fellow artist, Sam Flores. We painted together at this event last year and figured it’d be a team-up worth repeating. I didn’t get the greatest photographic proof from the event but I do have some pics worth sharing. 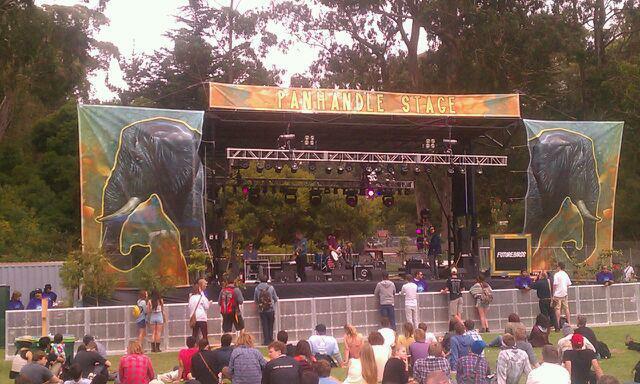 First off, I was asked to repurpose some artwork which ended up getting used as banners on one of the smaller stages. It was great to see one of my old elephants acting as book ends for the bands on stage. Things like this are the the cherries on top which make being an artist all that more enjoyable. Sam and I were scheduled to paint a mural on Friday (the first day of the event) as well as Saturday. 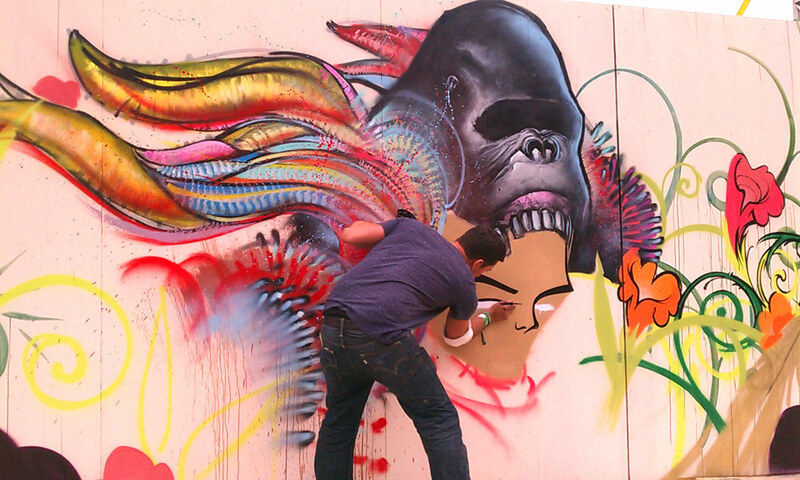 Here is a somewhat cropped look at a mural we did from the first day. 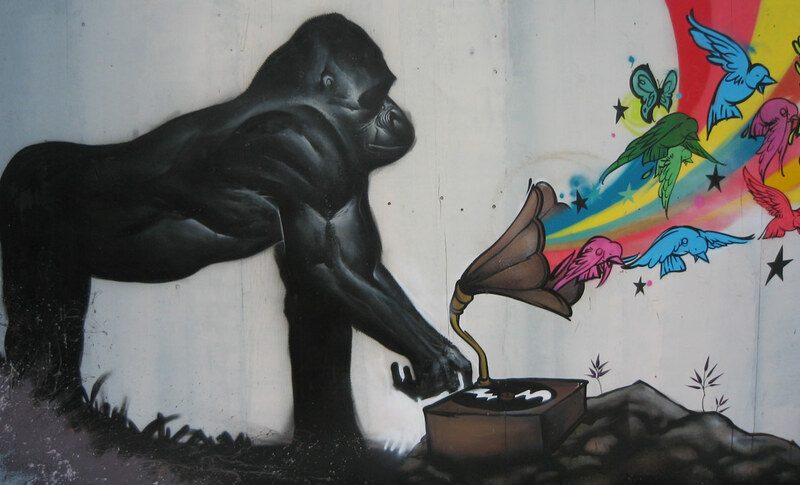 I did the painting of the silverback and combined it with his phonograph and resulting music. Then on Saturday we were at it again. 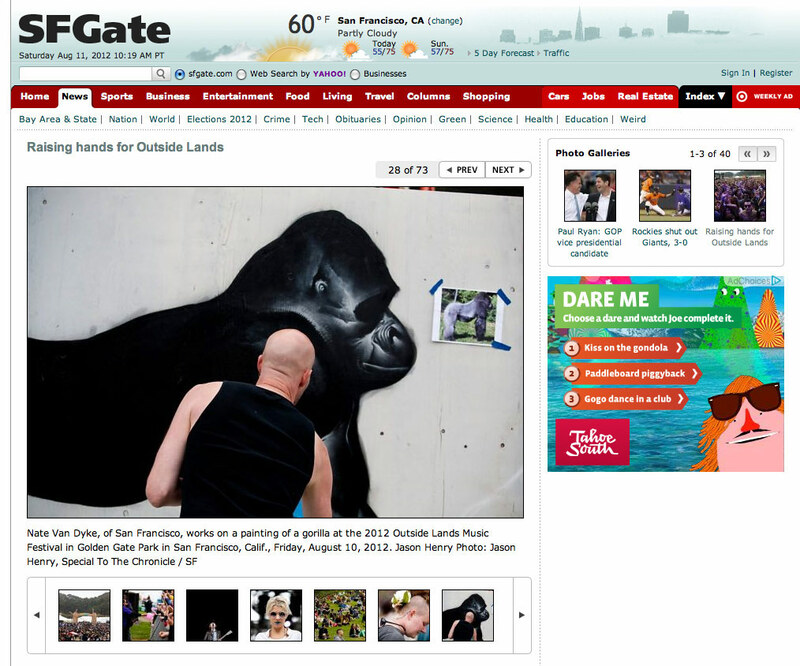 Turns out I didn’t really get any great shots of the mural Sam Flores and I did on Saturday at the Outside Lands Music Festival. Sam showed up a bit late so I got the ball rolling on this one. I painted a gorilla head and feathers which he then turned into a head dress for one of his characters. Here’s Sam playing catch-up. He was maddly trying to finish it up so that we could relax and catch the closing act… Metallica! 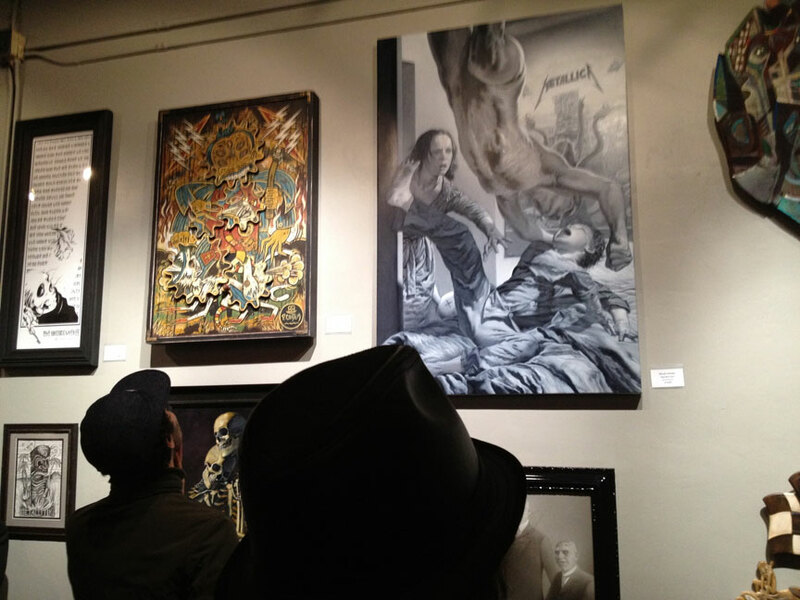 This past weekend I was in LA for the group show with Metallica. It was a lot of work getting my piece done for the show and now was the time to enjoy it. I met a lot of cool new people and even bumped into a few familiar faces. The opening was at Exhibit A Gallery and is up right now for the viewing public so if you are in the area do yourself a favor and get your art culture on. I thought my days of standing in the back row for school photos where over but I guess not. 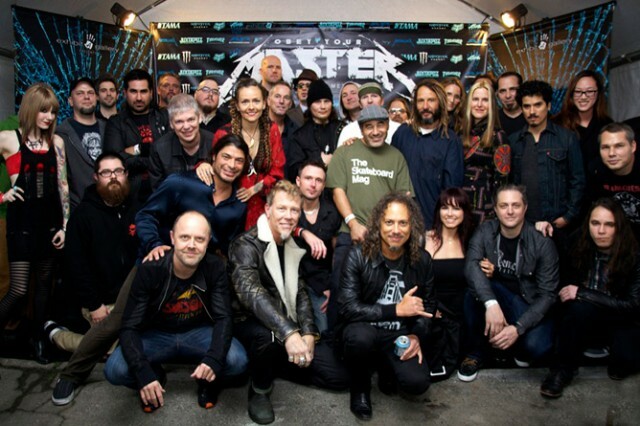 Here is the group shot with all of the artists and the band. It was hard to get to some of the guys as they were swarmed at all times. 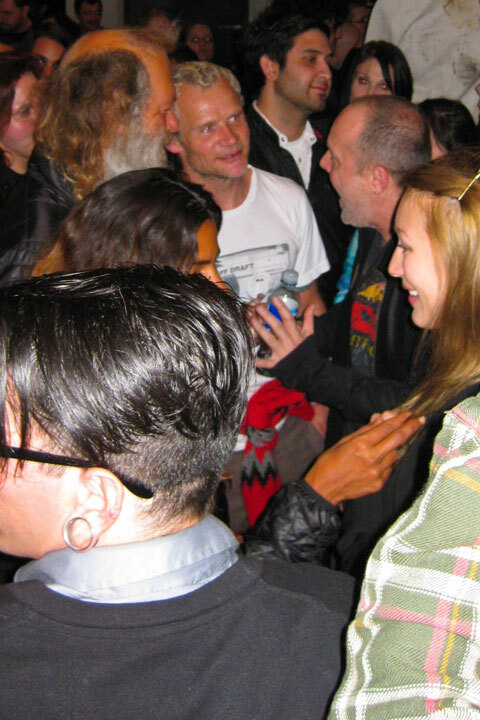 Here is a meeting of the minds… Rick Rubin, Flea and Lars Ulrich. 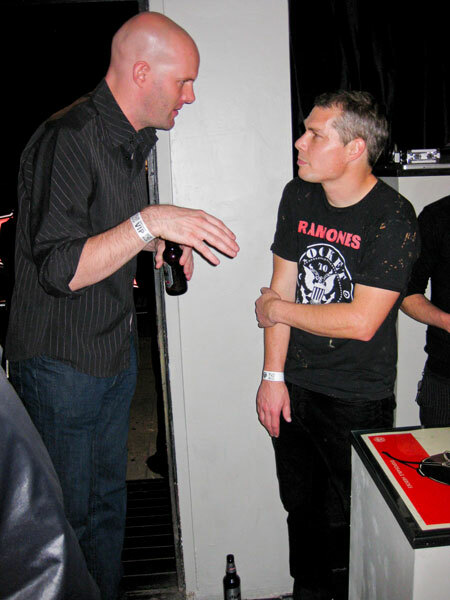 Sherpard Fairey was in the show as one of the artists and spent some time DJing as well. I think I scared him upon meeting him. I’m no whiz about reading body language but his says there won’t be a second date. Later in the evening I got a chance to really talk to him and art it up. He was a cool guy and easy to talk to. 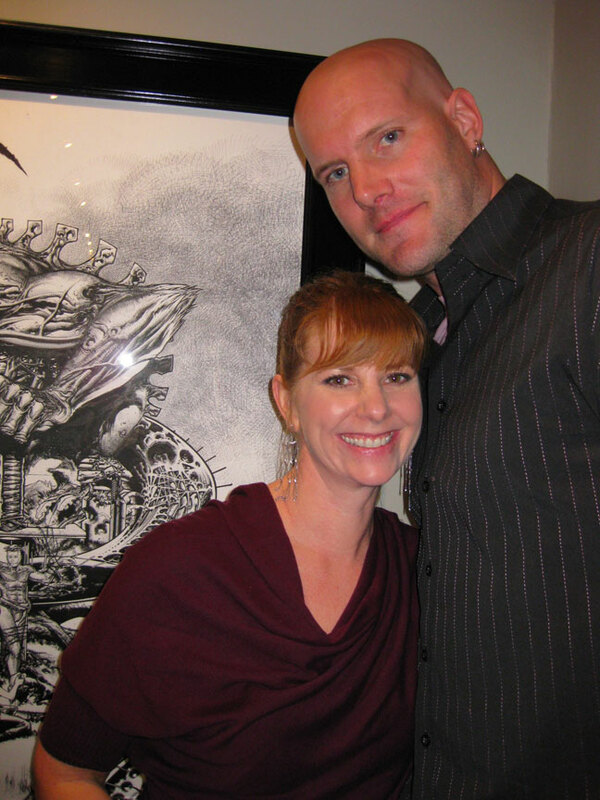 Here we are in front of his piece which he also made prints of. I spent a good amount of time hanging out and talking with Corey Taylor, the lead singer of the band Slipknot and Stone Sour. He was a real pleasure to hang out with a good guy all around. 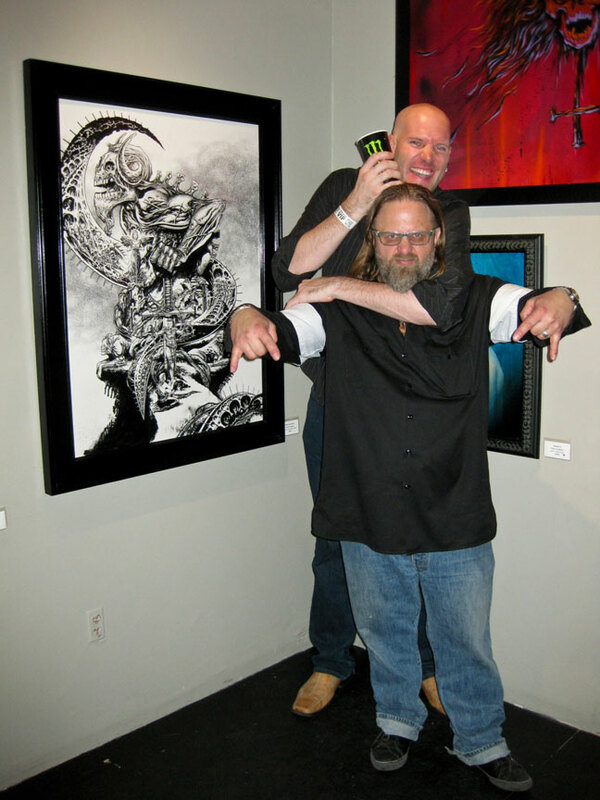 Corey was there supporting his good friend and fellow band member, Shawn Crahan, who is the percussionist and a founding member of Slipknot. He had a giant sculptural piece in the show. Shawn, too, was real down to earth and easy to talk to. You may also start to notice a theme of me putting arms around and on people as I often don’t know where to put them. They can be heavy so it’s nice to take a break and shift the weight of them onto other people. I was able to use my long chopstick arms to grab Flea for a quick pic before he ran off between my legs. It sounds hard to believe that you can be a few feet away from these guys and never get a chance to talk to them because it really was that busy and everyone wanted a piece. 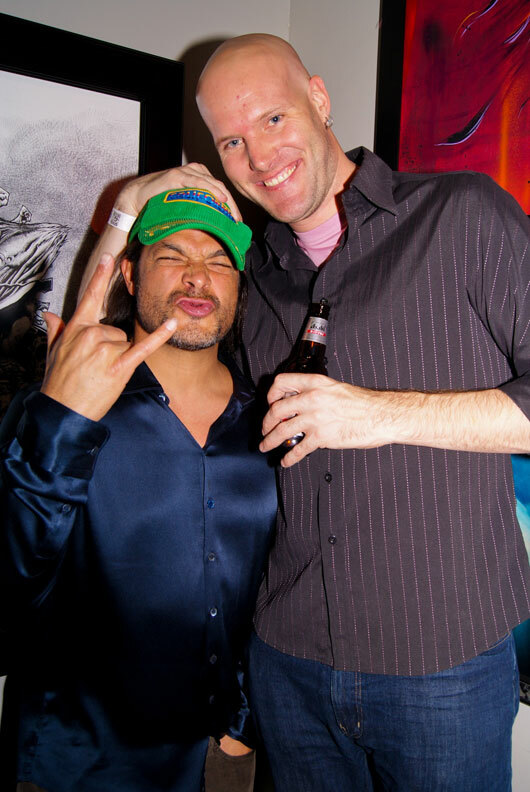 So, the only Metallica member I really got to hang out with was the bassist, Robert Trujillo. 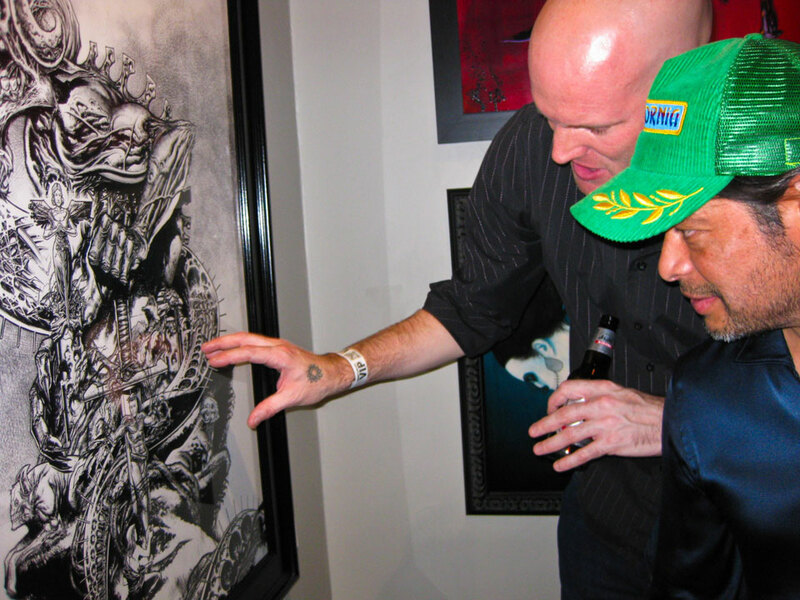 I figured it was going to be a quick hi/bye but he actually really wanted to talk about the piece I had done. I asked him if he wanted the story behind it all and he did so ran through the whole thing. 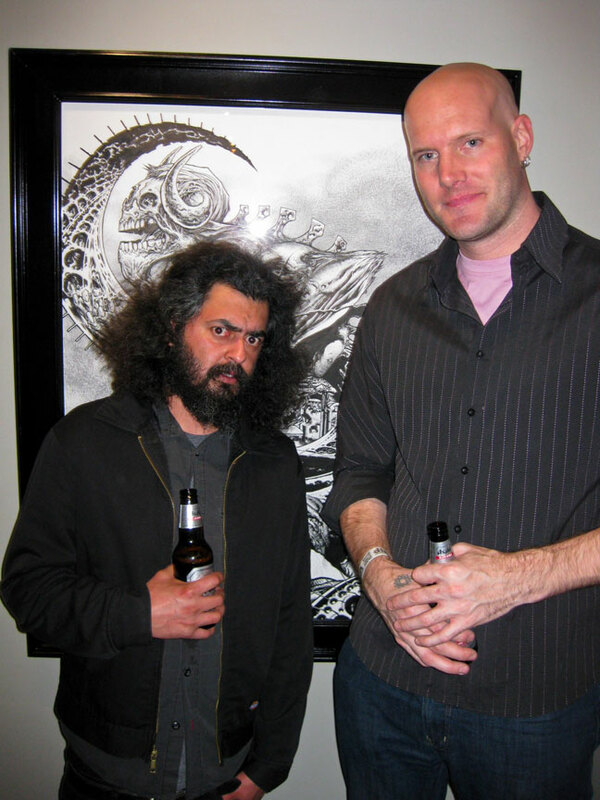 While in LA I got to spend a good amount of time with my buddy of over a decade, Victor Llamas. This is the guy whom I somehow trusted to take the photographs when I rented a chimp and he did the interview as well but you might remember him from romantic comedies such as THIS. 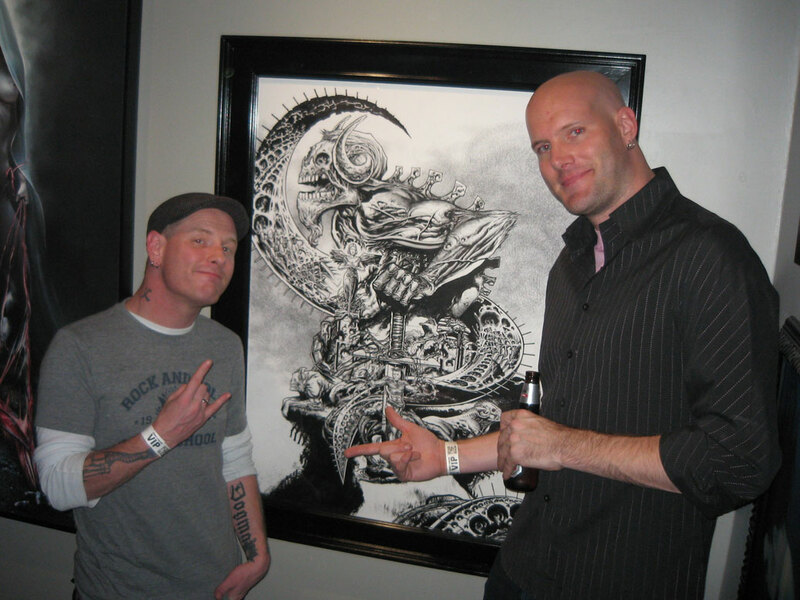 Buddy and fellow artist, Shawn Barber. He did a cool dead soldier piece which I was unable to get a good pic of it. My girlfriend, Debsue, and I made the road trip together and had a pretty good time. It was a nice change of pace for the both of us. She’s also the one behind these pics and many others. I tend to bring my camera to events and on trips but never seem to take any pics. Thankfully she made up for the 5 or so crappy pics I took. 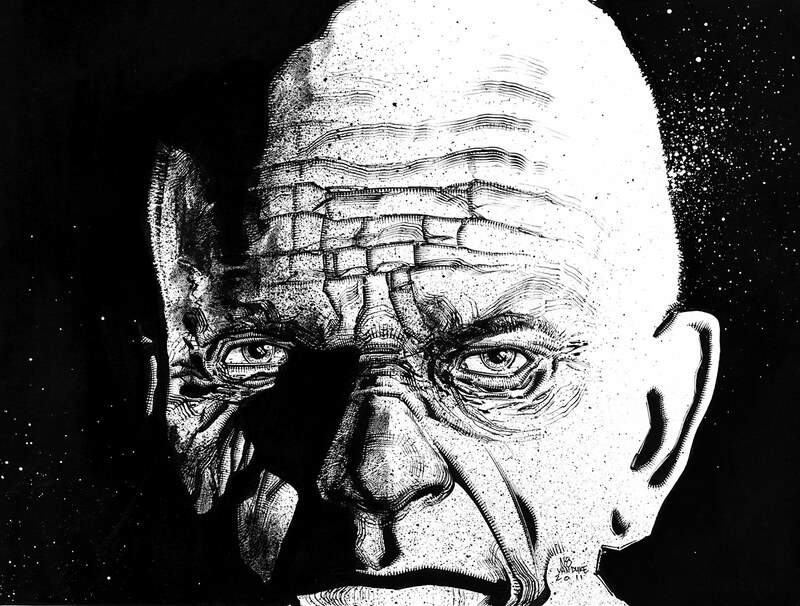 I really like this greyscale piece that Nicola Verlato did. It was high on the wall (even for me) so getting a good shot of it was difficult. 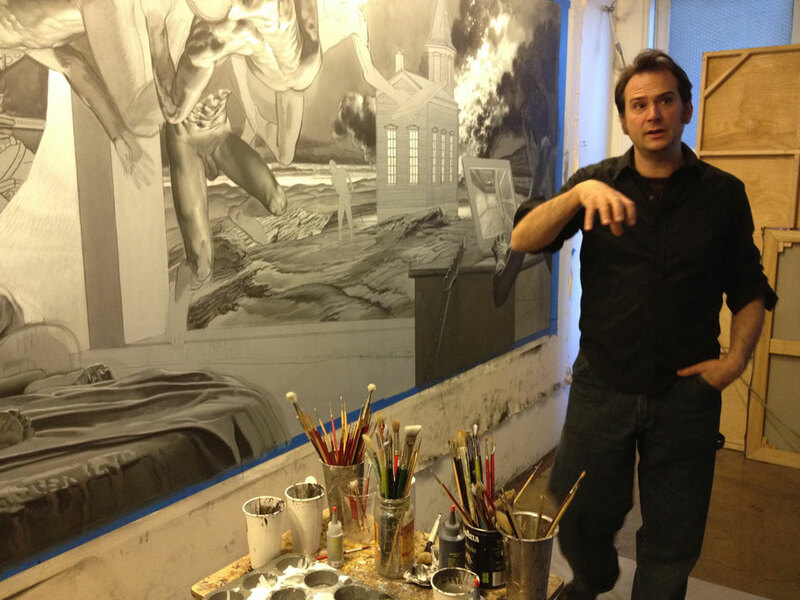 The following day, Nicola invited me over to his studio where he is feverishly preparing for a gallery show. It was inspirational to say the least. I don’t want to show too much of his studio because I know how artists like to keep works under wraps until they are ready to be seen. I’m off camera teaching him my head-palming technique. I can’t wait to show off this piece. This is my illustration for a gallery show at Exhibit A Gallery in Los Angeles, Ca. 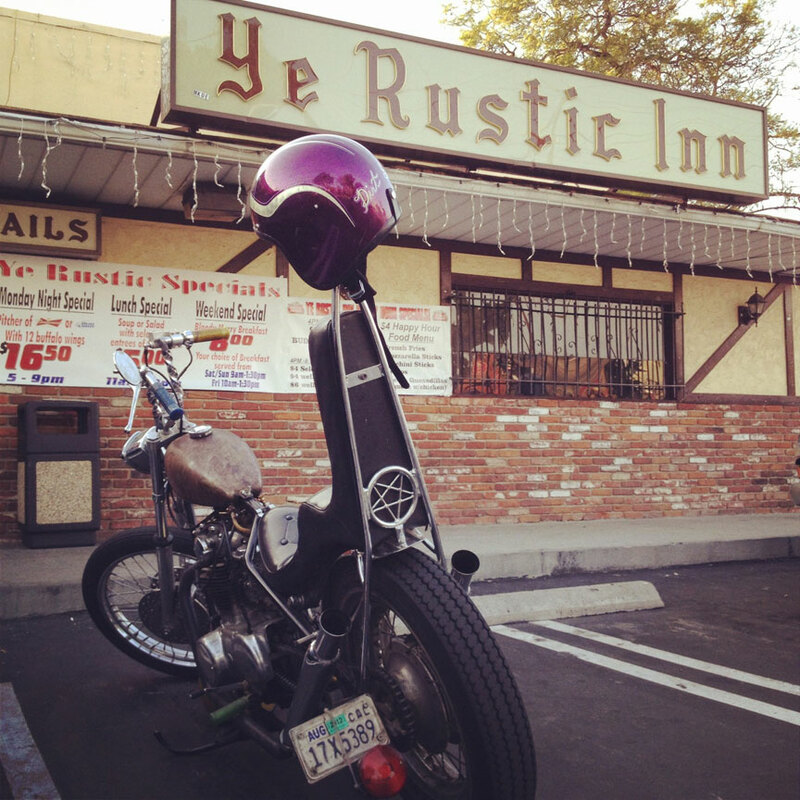 The theme of this show is summed up in one simple word… METALLICA. It is a group show – with the likes of Shepard Fairey and Shawn Barber – in which every artist participating has selected one song from their catalog in which to illustrate. I chose Until It Sleeps off of the Load album. This has got to be the coolest thing I’ve got to be a part of in a long time. 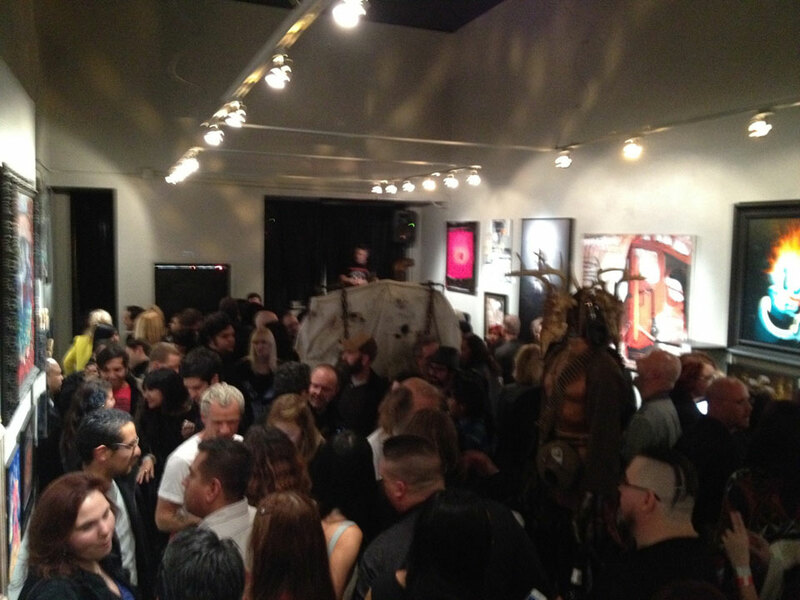 In January I will be taking part in a group art show in LA at Exhibit A Gallery. The special thing about this show in particular is that it is a Metallica themed show. 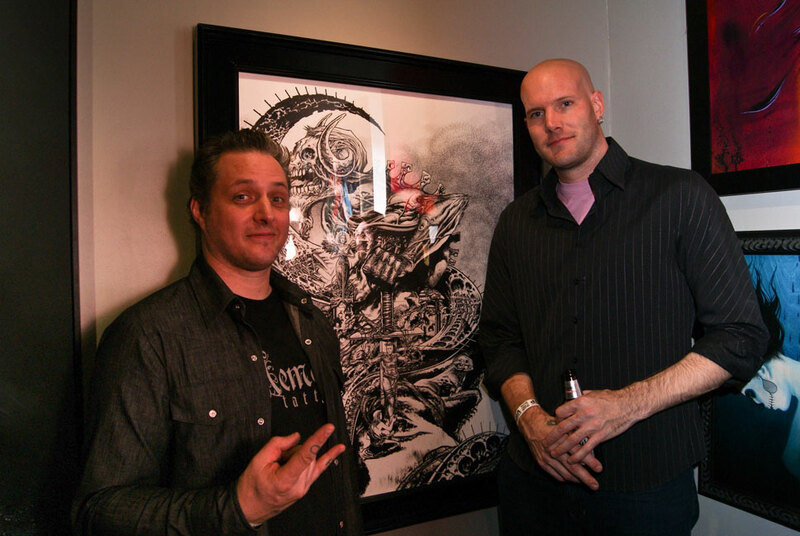 Each artist selected a song from the Metallica catalog and are to illustrate/paint that song based off of the lyrics. I’m not supposed to reveal the song I selected as they want to keep that under wraps until the opening. OH, and the other cool thing about this show is that all four members of Metallica will be there at the private opening with just the artists. More info sure to come. 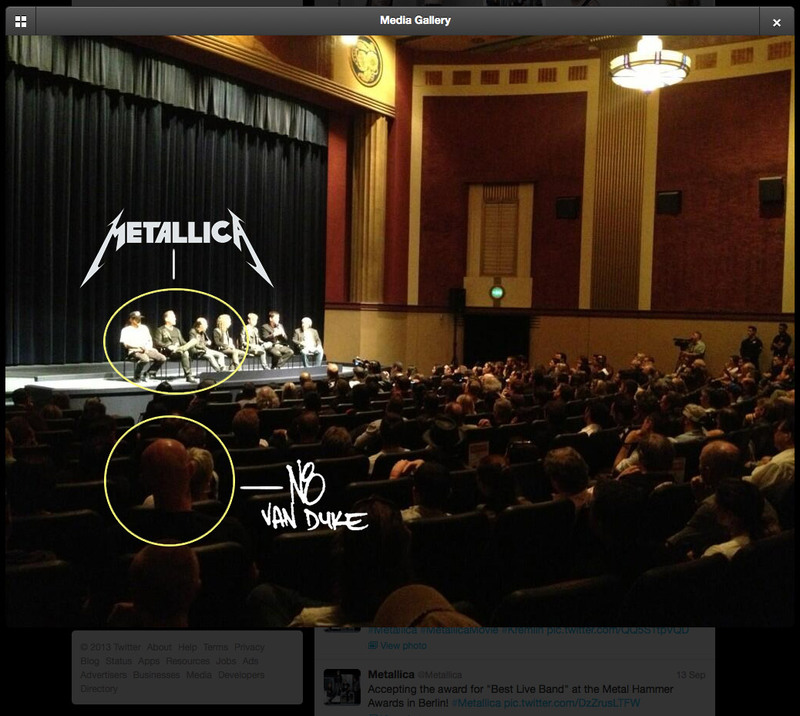 Until then, here is the flier as well as a pic of James Hetfield and I earlier this year.